The chamber music of Brahms has sometimes posed a challenge for music criticism. Even in his day, Robert Schumann claimed the exalted status of veiled symphonies for certain of Brahms' more intimate works (though some have pointed to chamber-esque qualities in his symphonic writing, as well). It does not help those trying to characterize this music that the typical Brahmsian mix of forward- and backward-looking elements also appear. His Sonata for Piano and Violoncello, Op. 38, presents just such a simultaneously progressive and elegaic face. He composed three movements in 1862, dedicating them to his friend and patron in Vienna, Joseph Gänsbacher, a singing teacher and cellist and a man instrumental in Brahms' appointment as director of the civic choir. Brahms rejected the Adagio he composed at this time (he may not have destroyed it, but rather recycled it in the Second Cello Sonata decades later), and added a fugal third movement to the first two in 1865. The resulting sonata is both sonorous and playful, progressive, and deeply rooted in the music of history. The opening movement of the Sonata for Piano and Violoncello (note the unusual featuring of the piano in the very title!) follows a mostly conventional sonata form. The principal theme darkly inhabits the resonant lower tones of the cello register and has sometimes been characterized as reminiscent of otherworldly fairy tales. Both Brahms' treatment of the principal thematic expositions and their later development frequently show his expansiveness of melodic vision, while maintaining both a close (though unhurried) adherence to the traditional form and a specific tie to the past: a thematic correspondence to the third Contrapunctus from J.S. Bach's Art of the Fugue. The middle movement shifts key to A minor and presents an almost Baroque minuet and trio. 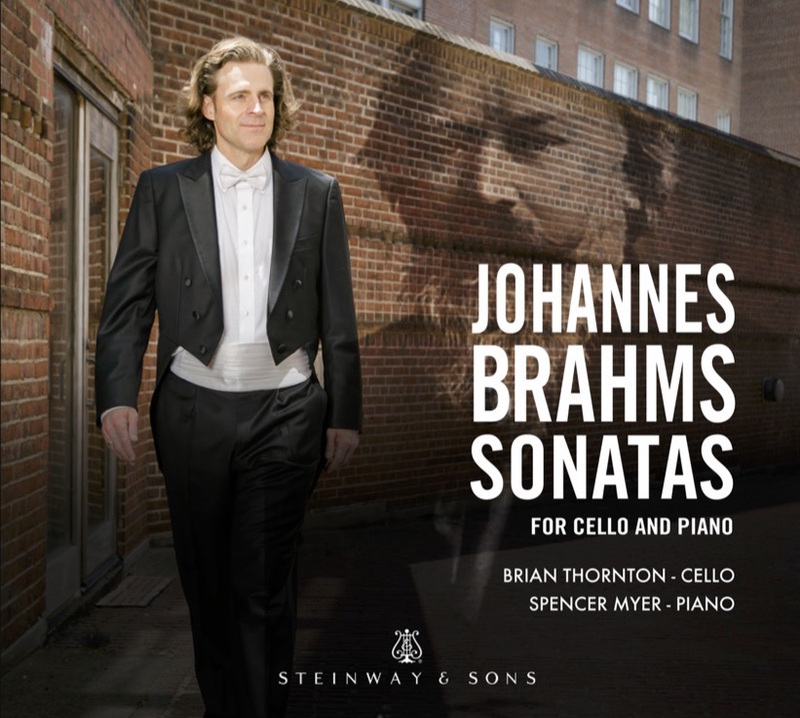 (Almost, because within the rigid refrain form Brahms allows the performers to harmonically meander a bit, and the trio involves a rather lavish expansion of the introductory four-note motive.) The final movement brings the tension between past and future into the sharpest relief: Brahms composes a fugue for the two instruments. On the one hand, a fugue remains a markedly historical form for a musician of his generation, and the Baroque ties are once again heightened by resemblance to a motive of Bach's. On the other hand, the harmonic character of the music, and the distinct difficulty of balancing the cello's single line against three "voices" in the keyboard, are all novelty.